Blessings be upon you from our Lord my sisters and brothers in Christ! I pray that We Continue to Walk Humbly In His UnconditionaLove, Forgiveness, Understanding, Wisdom, Joy and Peace. I Pray that we Continue to make the Will and Purposes of God for our lives, our will and purposes for our lives. I pray that we Continue to kill off 'self' allowing the Lord to Increase in us as we decrease. I pray That we Continue to Share Jesus with all that He sends our Way today And every day. Always Thanking our Lord for His Abundant, Never Ending Grace an Mercy!!! In the Name of Jesus, I Praise GOD! Today Is Another Wonderfully Made Day given to us to Enjoy, Mature and Grow in! We see and know the Presence of the Lord Everywhere we look! We Continue to Dwell in All His Divine Possibilities and Opportunities! The Results of His Blessing on&in us Are Abundant and Never Ending! At the Edge, do we Stand, Clothed in Obedient Faith, And we wait for Him to Part the Waters for us! Our Trust does Not falter, You Lord have brought us To the Edge And we Stand Faithful To You Lord, Knowing that You Are Faithful To Us! The Results of Being Blessed are Endless and Abundant Every Day! Seek them, Enjoy everything And Count It All As Joy! Are we In agreement and touching as we pray in Faith to our Lord? Yes, I'm in agreement & touching and EXPECTING our Lord to reveal ALL the help we need, His children of Faith. Just like Moses, Mary, Deborah, and Ruth= no matter WHAT, I Believe! I Trust! I have and Use Obedient Faith in You! 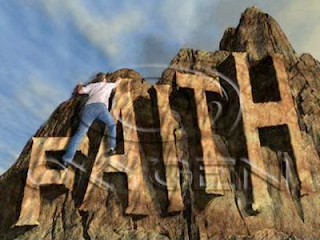 My Faith is only Growing Stronger And Deeper and Higher! It is maturing so that it will Keep me as You Lord move me up higher in my Spiritual Life of Trusting You Completely And Faithfully! According to Your Timing, Your Will and Purposes Be Done, I Expect You to do what we Need, IJN, Amen! So Lord, Now that You have all our concerns in your Hands, What do YOU Want us to do For You? Send Me Lord, I'll Go! On Feet of Peace, Clothed in Forgiveness, UnconditionaLove, Grace, Mercy, Praise, Faith, Trust, Overflowing As a Blessing to all You bring my Way! At the Edge do I Stand With You my Shepherd, Send Me Lord, I'll Go!